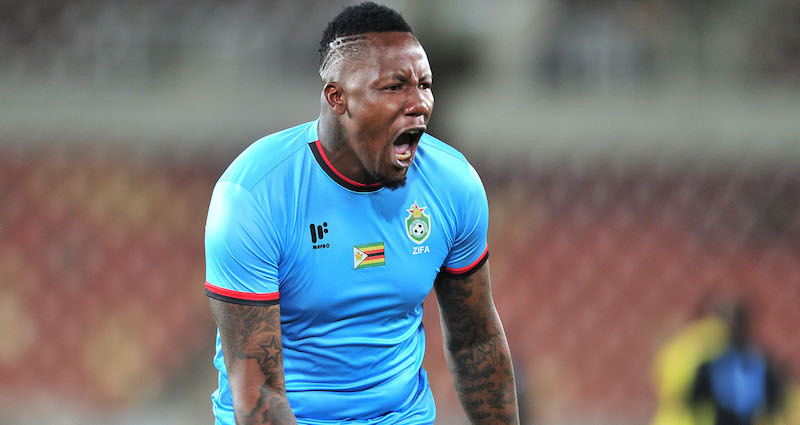 Zimbabwe goalkeeper George Chigova saved three penalties in the post-match shoot-out as the Warriors booked a semifinal place in the 2018 COSAFA Cup with a 4-1 victory that followed a tense 1-1 draw in the 90 minutes. Hosts South Africa were on the wrong end of a shoot-out result though as they were ousted from the competition by Madagascar, who triumphed 4-3 on penalties after their match finished 0-0. It means the semifinal line-up is complete, with defending champions Zimbabwe to take on Lesotho, while Zambia will clash with Madagascar. Both of those matches will be played at the New Peter Mokaba Stadium on Wednesday. South Africa dominated the chances in their game and should have been at least a couple of goals up by halftime, but were dragged into penalties by a Malagasy side that was organised and structured in their play. Luther Singh took South Africa’s fifth penalty in the shoot-out, but his tame effort was easily saved by Madagascan goalkeeper Jean Dieu Randrianasolo and Tobisoa Sandratriniain stepped up to put the islanders into the semifinals. The home side had an even better opportunity on 20 minutes when Ryan Moon’s delightful ball over the top of the Madagascar defence set Singh free one-on-one with Randrianasolo, but he disappointingly shot straight at the gloveman. Monday will be a rest day in the competition, but South Africa will be back in action against Namibia in their Plate semifinal at the Old Peter Mokaba Stadium on Tuesday. That match kicks-off at 17h00 (15h00 GMT).